Below you’ll find the solicitations information and cover artwork for all of Titan Comics comic book titles that were released on April 13, 2016. This week includes a new Doctor Who comic and the second issue of Rivers Of London: Night Witch! Being a Whovian that is also the co-host of Geeks Of Doom’s TARDISblend podcast, I’m a little picky and particular about my Doctor Who stuff. 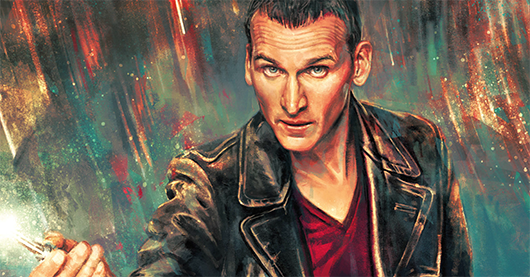 But I can say, without a doubt, that Titan Comics’ opening salvo for their Doctor Who: Ninth Doctor comic book series is a good shot. First up, you have the Christopher Eccleston Doctor, in all his grumpy glory, with his adorable companion Rose Tyler who is still softening up his hardened Time War scars. However, what makes this book special is Captain Jack.